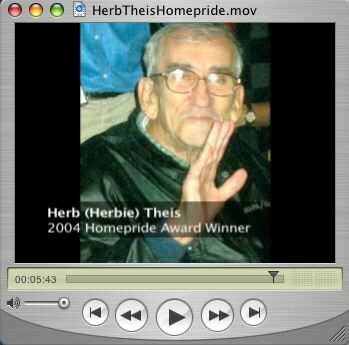 DigElogROCORI: Herb Theis "A philosophy of giving!" Herbert (Herbie) Theis has been a local Cold Spring Historian for many years. His family was one of the first to settle in the Cold Spring area. Over the years Herb, more fondly known as "Herbie" throughout Cold Spring, found many ways to volunteer and give back to his community. He worked with youth ministry at church, was a cub master and scout leader, and served as Wakefield Township treasurer for over 40 years. On weekends, Herb would visit local prisons and would council residents to discover and develop their spiritual lives. In this story, Tom Mathies, Herbie's nephew tells a number of stories about how Herb gave of himself to people in need. Herb talks about his family upbringing and the foundation in life it provided for him.